In New York, bicycle accidents are too frequent among delivery employees and the resulting injuries are often catastrophic or even fatal. To protect delivery cyclists from severe accidents, The City of New York will soon be enforcing new rules for commercial bicycling. Commercial bicyclists will be required to take a bicyclist safety course. Courses will be available in English, Spanish and Chinese. 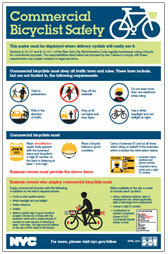 Business owners who employ delivery bicyclists will have to post a commercial bicyclist safety poster where employees can easily see it. Additionally they will have to maintain a bicyclists roster with detailed information on each employee. 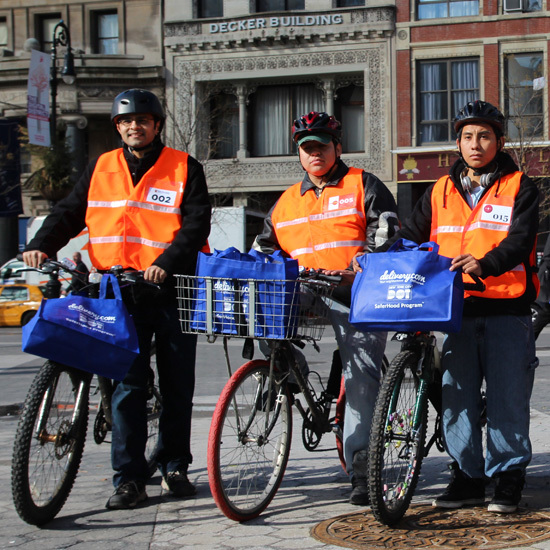 Employers will also have to invest in safety equipment for their delivery staff who will be required by law to wear retro-reflective upper-body apparel and a bicycle helmet.Commercial bicycles will have to be adequately equipped with bell, headlight and red tail light, reflectors, brakes and ID sign.